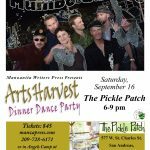 ArtsHarvest dinner dance with Mumbo Gumbo band was a blast at the Pickle Patch on Sept. 16. Food was good, silent auction a lot of fun, the raffle a frenzy, and music fantastic. The weather was lightly warm, pleasant into the evening, and just perfect. Thank you to all who turned out for the evening to help support our fundraising efforts. 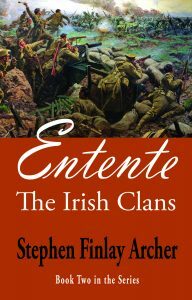 Stephen Archer launched the second book of his Irish Clans series, Entente, on Friday, June 16 in the Fireside Room at Camps. It was a huge success. Congratulations, Steve! 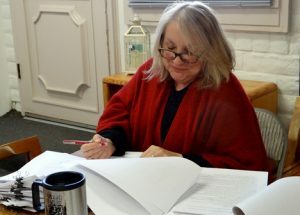 Manzanita Writers Press is tickled “green” to host a special event with author Stephen Finlay Archer on June 16 from 5:30 to 7:00 pm at the Greenhorn Creek Fireside Room in Angels Camp. 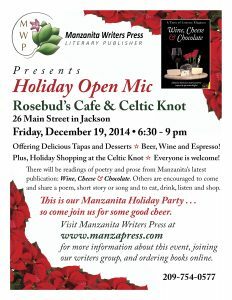 At this free event, he will launch Entente, the second in his five-book series of The Irish Clans. 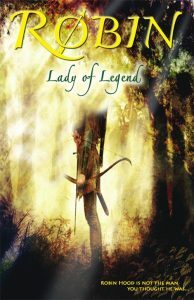 Archer continues the adventure and romance story set against the history of the 1916 Irish Revolution that he began with his critically successful Searchers: Book One. Entente sweeps readers back into the lives of Irish rebels Tadgh and Morgan as they find themselves in war-torn Europe. The pair is embroiled in WWI’s potential Irish-German entente (alliance) on the brink of Ireland’s 1916 Easter Rising. At the same time, they continue to unearth clues surrounding the mystery of the McCarthy’s ancient Clans Pact, and the romantic saga of Tadgh, Morgan, Collin and Kathy heats up. Steve will be most happy to sign copies of his books at this event. Iced tea, lemonade, adult beverages and light snacks will be provided. Everyone is welcome, Irish or otherwise. Come join the discussion! 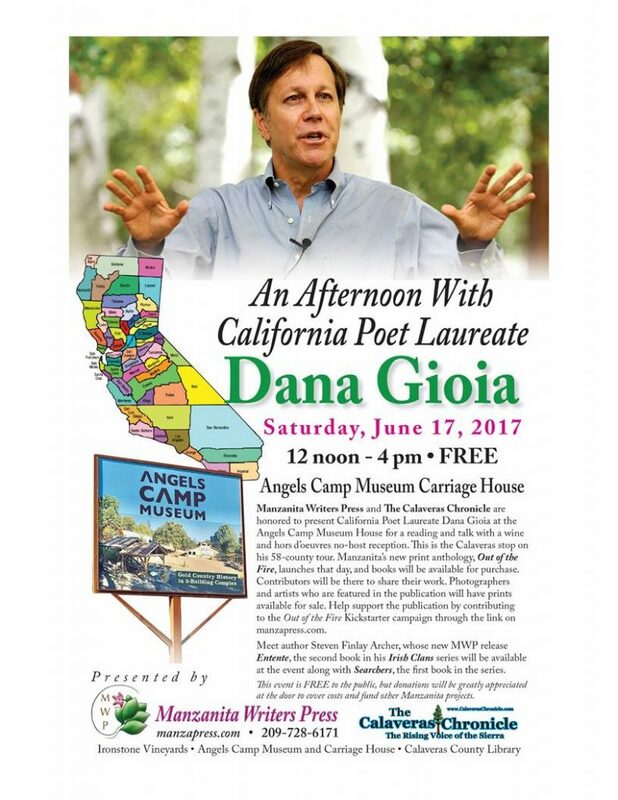 Saturday, June 17, 2017 – An Afternoon with Poet Dana Gioia – 12-4 PM – Angels Camp Museum Carriage House – reception 12-1 with new books available for signing, 1-2:15 poet read and discussed the celebration of poetry in our state, 2:15 reception, wine by the glass and hors d’oeuvres (no host) 2:45 Out of the Fire contributor readings. A huge success with a crowd of about 75-80 people. 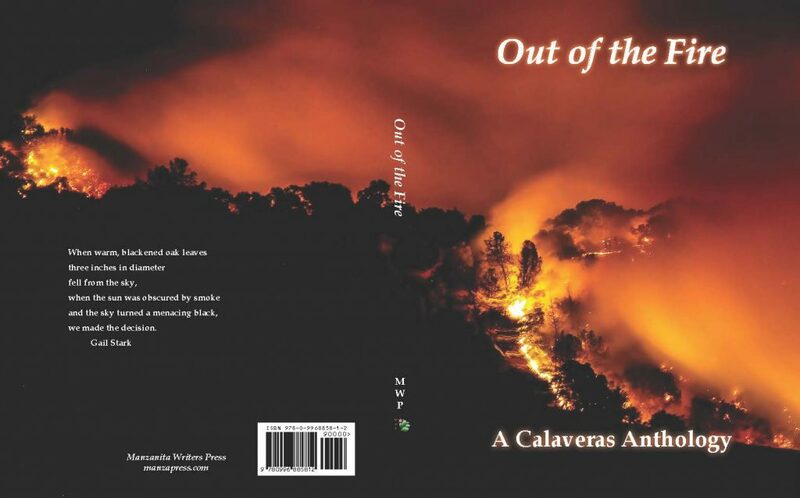 Out of the Fire Book Launch and reading: June 17, 12-4 PM – Angels Camp Museum – contributors wrote accounts of the Butte Fire devastation, photographers captured the awesome beauty and sadness of the event in various stages, poets wrote of hope and sadness. Over 116 pages of full-color aching beauty. It will touch your heart. Over 50 contributors from the community experienced the fire and its aftermath, sharing their artistic vision. 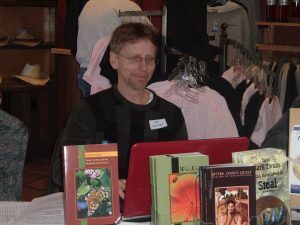 June 27: Dale Baker – Build your own website using WordPress, Part 2 — class for artists and writers – $30. 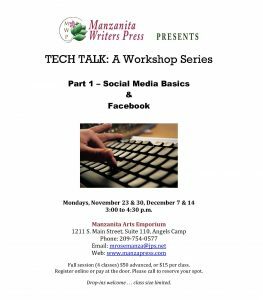 This session is for those who attended Part 1 and will need support and assistance in completing their website. From 1-4 PM. Bring a bag lunch, if you like. 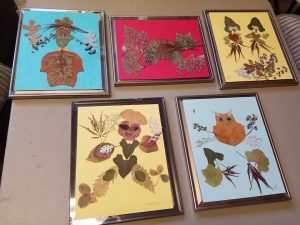 Check out the blog by Mary Matzek in SFGate blog about our gallery and Manzanita Writers Press! Celebrating the Fun of Reading! 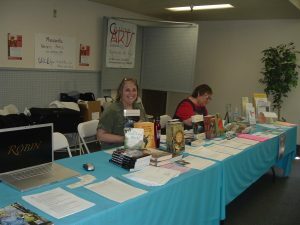 So we trek down to the Great Valley Book Fair every year in Manteca representing our authors and celebrating reading! Nice venue and nice people! Lecture about restoring the USS Iowa! 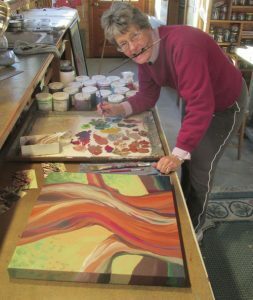 Robin Modlin Working on the Pieces project exhibit! Nancy Giddens, Calaveras County librarian sharing knowledge about the new library lending programs! 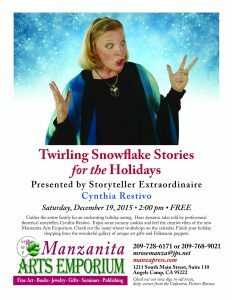 MWP director Monika Rose sharing some insights about our programs here at the Manzanita Arts Emporium, with our lovely gallery with 10 permanent local artist collections, a community arts center for events, classes and gatherings, a publishing center, and a bookstore! 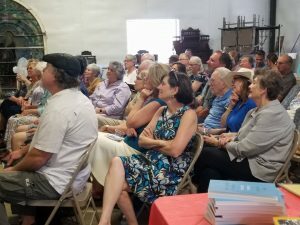 Dana Gioia audience in the Angels Camp Museum Carriage House! 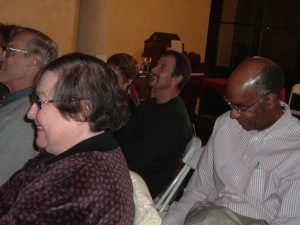 Blanche Abrams, writer and Tuolumne Writers Retreat founder, lectured on Poe’s prowess as a writer and recited the poem, “The Raven” dramatically, from memory, inserting humorous asides and quips as she went. She has us rolling in the aisles! New music store with the addition of Chrys Mollett’s Aeolian Harp! She teaches piano to all ages. 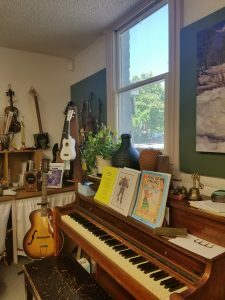 Unique instruments, ukuleles, finger pianos, harmonicas, guitar strings, CDs, guitars, violins, and more. 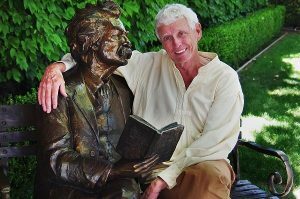 Jim Fletcher, “official storyteller of Calaveras County,” photographed with a bronze statue of Mark Twain at Camps Restaurant in Angels Camp, Calif. 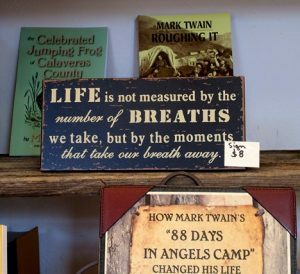 He gives a weekly presentation on Twain’s “88 Days in the Mother Lode” at Manzanita Arts Emporium on Thursdays. He’ll be taking a hiatus for a few months recovering from knee surgery, but he will be back in the spring! 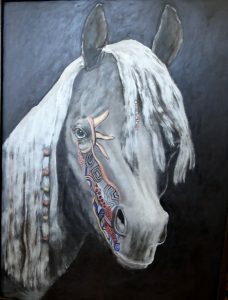 Lovely gallery setting — showcasing 10 permanent artist collections and 7 more consignment artists with smaller showings. Over 20 authors represented from the region! 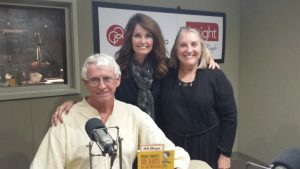 Here is Jim Fletcher, author of Mark Twain’s 88 Days in the Mother Lode, MWP’s release in 2015, with Beth Ruyak of Capitol Public Radio, and editor Monika Rose. 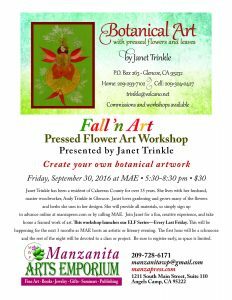 These are five masterpieces created in Janet Trinkle’s pressed flower workshop. More to come! 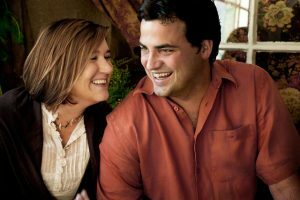 The GetSmart Facebook advertising company i Angels Camp, led by Scott and Allie Reynolds, presented a Facebook class October 16 in 2016 for the Writers Roundup! Very informative presentation –and a great company! 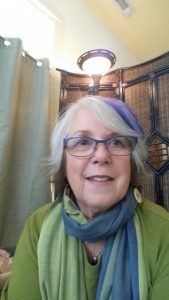 Linda Lee, from San Francisco, and her Web-PC Design company, presented website building essentials at the Writers Roundup Oct 16, and again in January 2017. She was great! It was a wonderful retreat day! 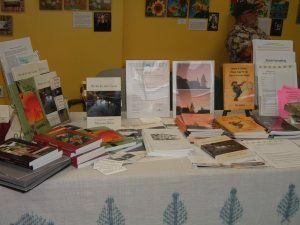 We had a great ArtsHarvest fundraiser with Mumbo Gumbo to raise publication funds. The historic Avery Hotel was the location–what a place to hold a party! 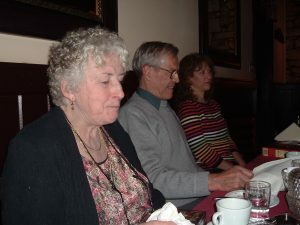 Speaking of haunted hotels, Manzanita Writers Press hosted a book launch party at the Hotel Leger for Antoinette May’s new release, The Determined Heart, an historical novel about Mary Shelley. Perfect place to hold the launch – we were channeling Mary. Antoinette May is on the right in the photo, looking serious. 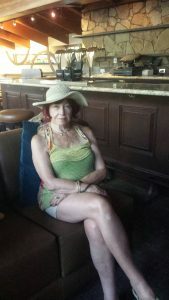 Here is another shot of glamorous Antoinette at Squaw Valley Writers Conference where we go every summer to listen to the writers share experiences and expertise, schmooze, love the atmosphere, say hello to Brett and Sans Hall, and reminisce. I remember the Art of the Wild Conferences back in the early 90s, and then my Poetry Conference stay for a week, writing poems daily — remember that, Kevin Arnold? 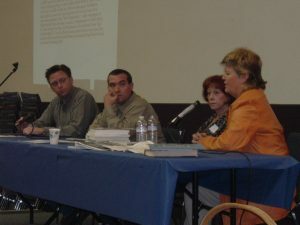 Then the Fiction writers conference one year, workshopping my fiction. Love that place! 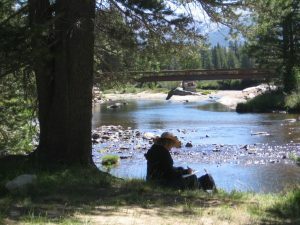 So here is a writer up at Tuolumne River at the Tuolumne Meadows Poetry Festival one year–that may be me, but I’m not sure. Whoever it is, she is deep into the word. Maybe even rambling at this point, like the water burbling near her. 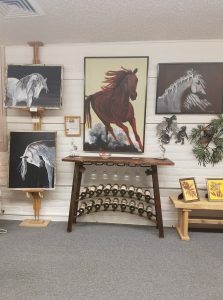 This video presents, in images, the Kickstarter campaign that also showcases our area, our Out of the Fire project, and our Emporium! It’s just a taste! We met our Kickstarter goal and raised the funds needed to print the first edition of the book — over 300 copies. Next print run coming soon as we have almost sold out already! 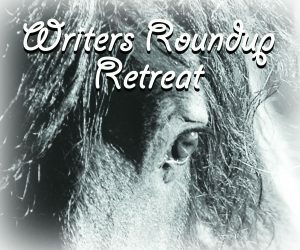 Here is our Writers Roundup lineup — 2016 — what a great little weekend! 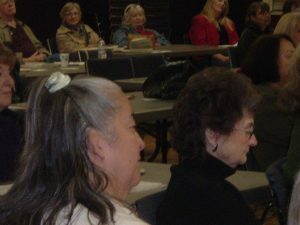 TEchnology training with website building and Facebook social media assistance was invaluable at the Writers Roundup! Put these two historians together and you get fireworks! What a great talk this was — humor, wit, razzle dazzle — and great historical nuggets abounded! An old event but interesting workshop — for you to think about. If you’d like to see something like this happen at MAE, call us! PDF Barnes and Noble flyer – another event from the past! 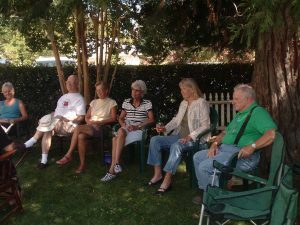 We would hold author readings and gatherings in Stockton – the good ole days! 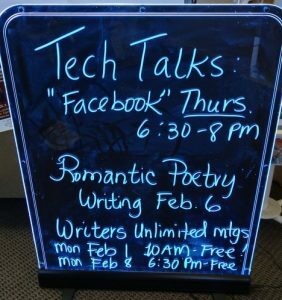 Another fun event involving poetry and prose workshops, journaling, learning the sonnet form, and a romantic chance to write something sizzly! 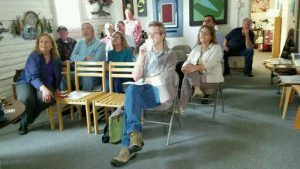 It was at Ironstone and we had a great turnout! Between the Sheets Feb 12 I can’t believe we’re hopeless romantics! We had another one of these hot writing sessions later in 2012! Brett Bunge, a tech leader and UC Davis English Literature grad, taught social media classes for those who needed to learn the tricks of the trade. We miss you, Brett! Why did you move to Washington State? You were terrific! 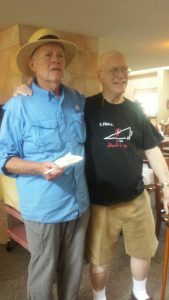 Lou Gonzales went from being a retired computer engineer to writing mystery novels! You go, Lou! 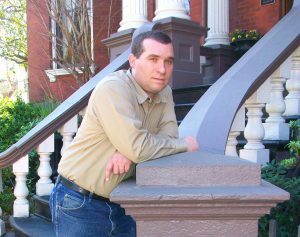 He taught us everything we needed to know to get started with eBook do-it-yourself layout and formatting! Okay, okay – we fixated and did three of these! Back by popular demand, we’re thinking of bringing these back next February. Hold onto your hearts! So here’s another great activity for moon enthusiasts! Great reading back in the day! So many wonderful writers out there. That’s why we formed the press in 2009–to help them all publish and get their writing careers started or developed. 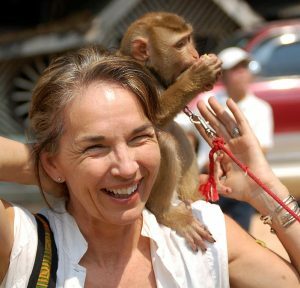 This was a great workshop given by Antoinette May — she has taught several, including travel writing, The First Five Pages, and more! 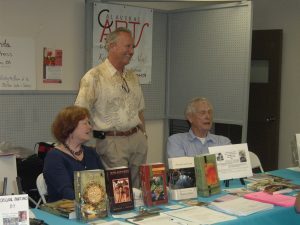 Tuolumne Meadows Poetry Festival coming up! 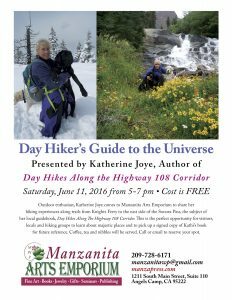 It’s an annual thing, this trek up to Tuolumne Meadows for poets serious about their art. What a place to write! 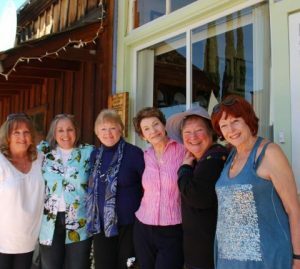 We go almost every year with a small group of writers who can handle 8,000 ft. elevation and some of the longer walks to get there. So here’s a symposium we held — workshops and speakers, writers and editors. We may do this one again! Great presenters! 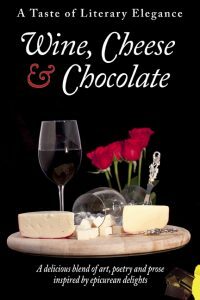 We raised the money to launch our community anthology called Wine, Cheese, and Chocolate – with luscious writing from regional writers and across California and representation from 20 states. Local restaurants donated their signature dessert recipes by their top chef — delish! 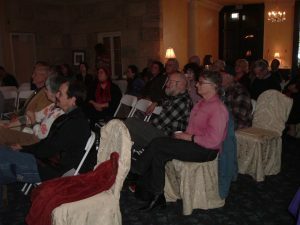 MEDIA RELEASE from the Calaveras County Arts Council_Nov 10 2012 to send Okay– this great historical symposium, Meeting of the Ages, was a historical goldmine! Free workshops, panel discussions, and learning lectures uniting the ages — young and ripe! Check out the schedule and you will see why! 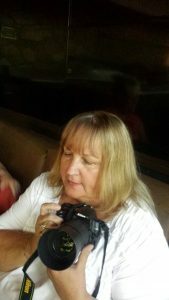 Filmmaking techniques applied to writing, journalistic topics discussed by our local editors and columnists, memoir writing, utilizing the archives and how to research! And so much more! 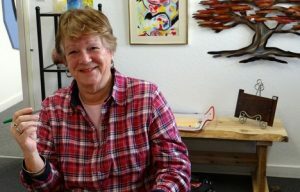 A free to the public series of writers’ workshops and panel discussions will be held on Saturday, November 10 from 10am to 5pm at various locations around Historic Main Street in San Andreas. Come and learn about writing techniques for how to write and record history. Register ahead to reserve spots. 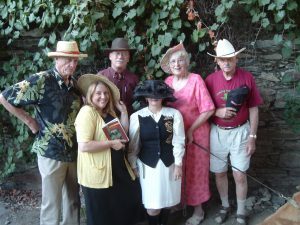 The Calaveras Arts Council’s Literary League member group, Manzanita Writers Press, Arts Council, Historical Society, Chamber of Commerce, Center for Creativity and Community, Black Bart Restaurant and Hotel, Thorn Mansion, and Calaveras Wine Grape Alliance join forces to provide a day of fun, learning, and sharing. 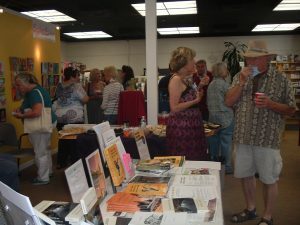 Registration begins at 9:00am to 10:00am, and all day, at the Arts Council gallery at 22 N. Main St. in San Andreas. 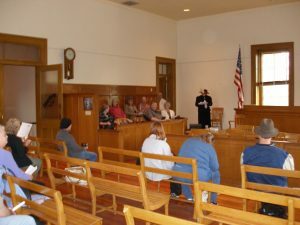 Entry to the Historic Museum, Court House, and Archives is free as are all the workshops and panels. 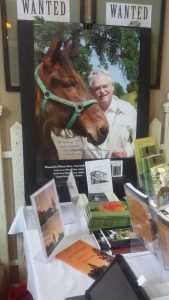 The day will be filled with history panels and workshops, music, vendors, book tables and author signings, wine tasting, and much more. 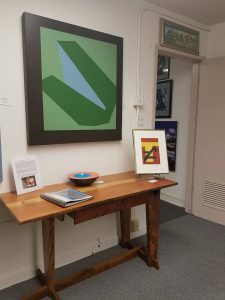 Calaveras Arts Council opens their annual Affordable Gifts of Arts Show and Boutique at 11:00am with a reception with beverages and food from 1:00pm to 3:00pm. Wine tasting at the Metropolitan begins at noon and lasts until 4 PM. Music with Jim Lanier from 3-4 PM. 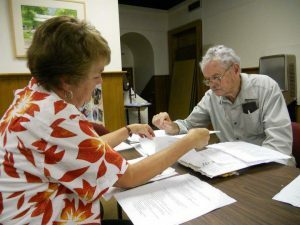 Shannon van Zant, leads hands on-researching strategy lessons in the archives. Glenn Wasson, as the infamous Black Bart, will share the outlaw’s poetic doggerel. 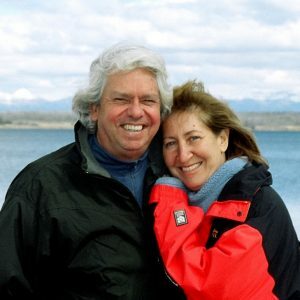 Jim Lanier and Connie Strawbridge will share their musical talents. Public is welcome and children under 18 must be accompanied by an adult. I can’t believe we were doing all this and more in 2011! 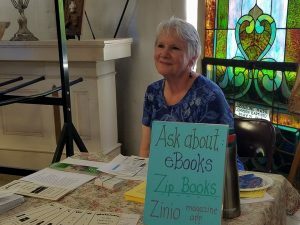 Great activities, books being edited and published and released, fantastic resources for locals, writers group camaraderie! 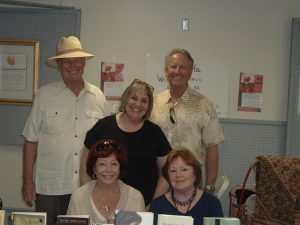 I can’t believe we had this great literary festival — where has the time gone! 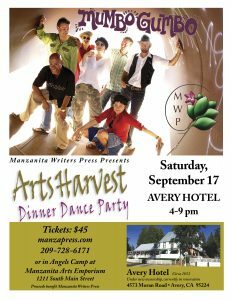 Things have been hop-pening in Calaveras County for years when it comes to Manzanita Writers Press humanities events! 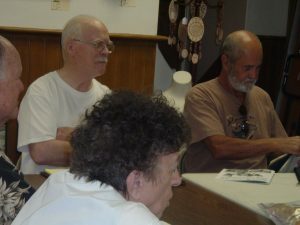 Updated Stories, Seeds flyer to send 2011 old W – here’s a cute event that occurred — to benefit Friends of the Library! It was a great sharing of story and song. 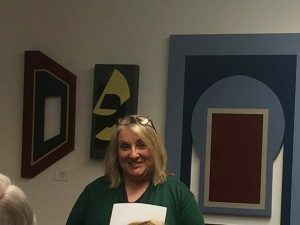 When the Pieces chapbook came out, we had a great exhibit that debuted here — the actual vignettes that the mosaic artists,Robin Modlin and Anne Cook, created from the shards and burned relics from the 2015 Butte Fire that destroyed over 550 homes and another 480 structures — with thousands evacuated and displaced, and sadly, two deaths. 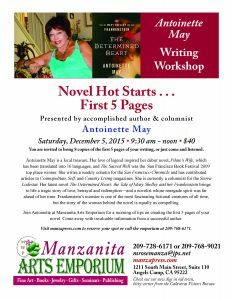 Manzanita Writers Press summoned ten talented writers to express the Vignettes’ hidden and imagined stories into prose and poetry. That collection, priceless and limited in copies now, came out before the Out of the Fire collection just released. It’s a precurser to the powerful collection, but a nugget and a gem of a book, all by itself. Such power in the the little collection! So Sally and David planned a great workshop on using Film techniques to assist writers in shaping their fiction — grappling with action, plot and conflict, and how to make things exciting when they may not be! 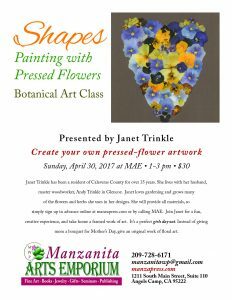 Great workshop — hope they offer it again! 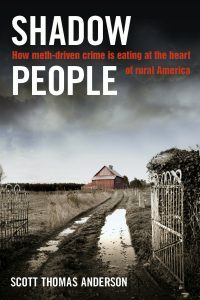 Scott Thomas Anderson led a fantastic workshop — he released Shadow People, which we represent at Small Press Distribution–a great little book about the dynamics of meth crime in rural areas. A page-turner. 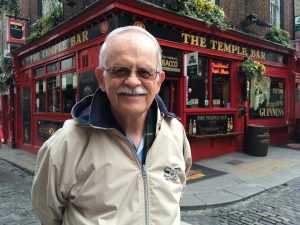 He was an embedded journalist with sheriff’s departments in rural Calaveras, Amador, and other places like Georgia and New Orleans. 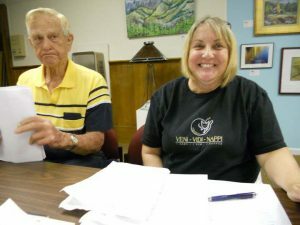 Muckraking for Gold — this was Scott’s topic in one of his presentations and workshops with Manzanita WRiters Press! 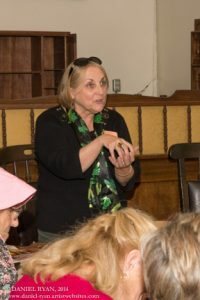 We had a great workshop for kids, too, with storyteller Cynthia Restivo — I think the adults had just as much as the kids! What a great marketing workshop for writers offered! The WRite Stuff! It was called the WRITE PROMOTION! 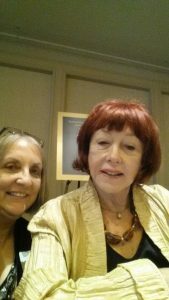 Stephanie Chandler scheduled along with Linda Lee on marketing books! Add Lucy Hackett from the local radio station to help us with writing press releases and the nuts and bolts of promotion! 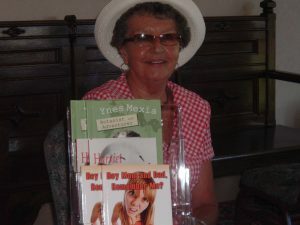 Thorn Mansion ArtsBash with Blame Sally — Manzanita Writers Press had a reading and book corner! 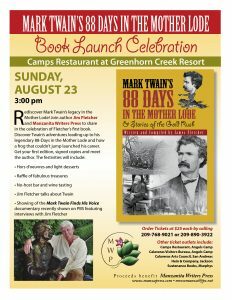 So when we finished editing Jim’s book, we had a great book launch at Camps Restaurant at Greenhorn Creek — but then, we traveled with Jim up to Sacramento where he spoke about Mark Twain’s 88 Days in the Mother Lode and the history behind all that! 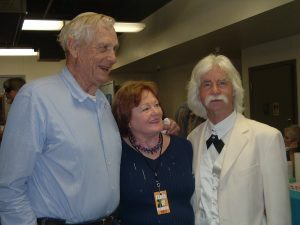 The Vice-President of PBS in Sacramento was there, as he’s a Twain buff. Ultra cool! Okay — another trek up to Yosemite for writing workshops and reading and sharing our love for poetry! So when Wild Edges came out — our wonderful anthology of prose and poetry, art and photography about the Mother Lode and Sierra region–we had some color pages inside that were ultra high quality! Thank you, McNaughton & Gunn – printers! 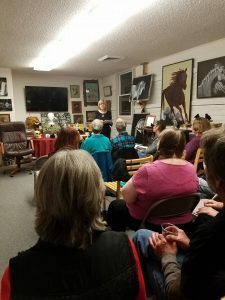 We had a reading at Clark’s Corner in Ione — wow, great crowd! So here is Durlynn Anema and Rachel ArceJaeger in a workshop we set up at Lodi High School for high school students. 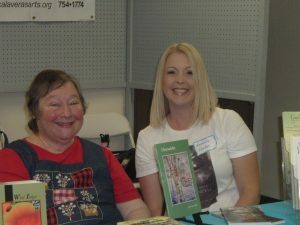 It was an all-day event, and students learned a lot about writing for younger readers. Rachel is a young one, herself! 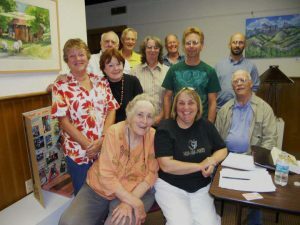 So Linda Trapp led a great workshop called Writing to Heal. 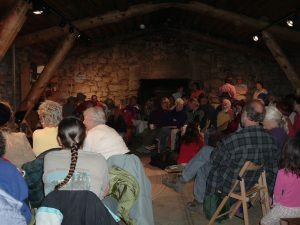 It was well-attended and provided great techniques for healing yourself, in whatever condition you were in and to what degree. Okay — this was a kick. 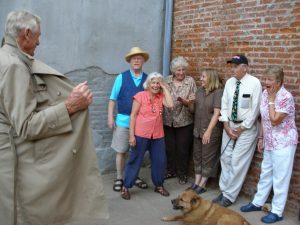 I helped round up the culprits, and the event was organized and originated by Dale Nichols, who was a reporter for the Stockton Record at that time. We read our lies to the crowd and it was simply unbelievable! Believe it! The Butte Fire in 2015 was devastating — but it helped to share experiences and some of the sadness in a communal way. 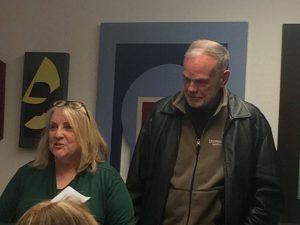 Here to share experiences are Monika Rose, Manzanita Writers Press editor and director, and Conrad Levasseur, Public Relations Director at Kautz Ironstone Vineyards. It was hard to stand up and talk about it, and many did. Some just listened and kept their sadness in, not wanting to air it, but all of us together like that, was a healing moment– just a little, anyway. Here’s the book launch of Ted’s nonfiction book, Chance, A Jockey’s Odyssey that Manzanita Writers Press published for Ted Laskin (er Franklin Ted Laskin) — it’s a collection of essays and reminiscences of the California Horse Racing circuit, its venues, experiences, adventures, and a chronicling of the jockey, Chance, and his unlucky turn of events. Great book! 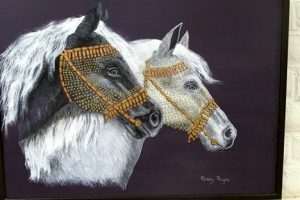 You will find out a few things about mules while you are at it — I never knew they raced! 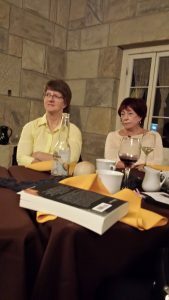 Writers Unlimited (under MWP) workshopped both of these writers’ manuscripts. Steve Holmes had a vampire novel, a psychological thriller going, and Dave Self, a book of philosophical poetry. Great guys! MWP published Dave’s book called Copper Dawn. A defense contractor engineer peacenik! Wow! So Monika Rose led this workshop on poetry — using figurative language and some odd techniques to stimulate your writing. Well, not odd, just strange. They work. 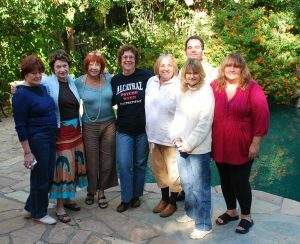 Ask the 20 people who came to her workshop at the Tuolumne Writers Retreat three years ago. She’s doing some explaining with her hands. Poets have to use all the tools they can use. 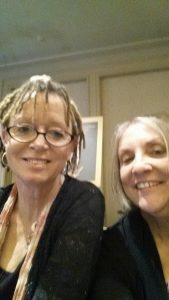 Monika Rose, director and editor, and Joy Roberts, Finance Director and editor, working on a project for MWP, are reviewing a manuscript. 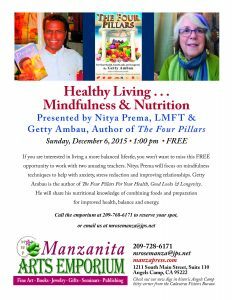 Getty Ambau is a Writers Unlimited member and friend of the press. 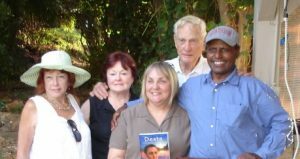 He workshopped his Desta novel (#1 in the series) at our sessions every week. 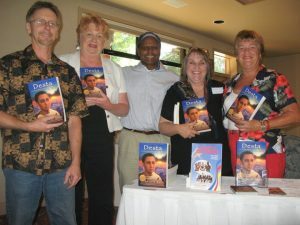 He has written several health books about proper nutrition, and is on Book 4 of the Desta series! 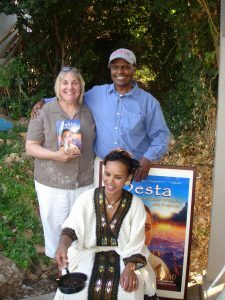 He also wrote an Ethiopian healthy eating guide with awesome recipes and spice guide for good health. His lovely relative, kneeling, is performing a special Ethiopian coffee beverage the traditional way. It was heavenly! 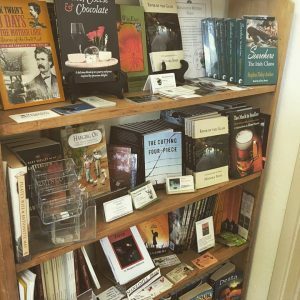 We support our local writers in every way we can. And Getty is a gracious host, along with his wife, Rosario. 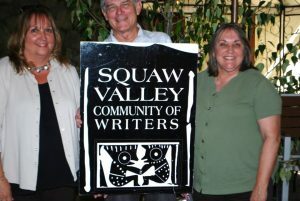 They have been a friend of writers in the Mother Lode for years. 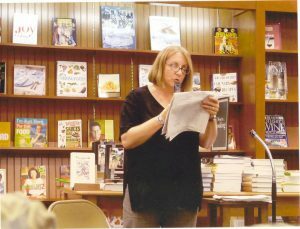 Kathy Boyd Fellure is coordinator of the Amador Fiction Writers Critique group. 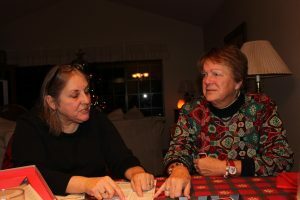 Networking is important in the Mother Lode, and even though we writers have to travel long distances, we try to support each other in our events and writing projects. 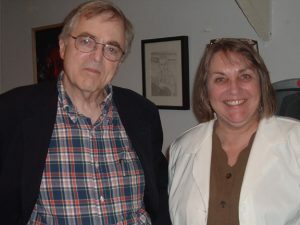 Monika Rose with C. Michael Curtis, Atlantic fiction editor, at a workshop in Sacramento, organized by Zoe Keithley. 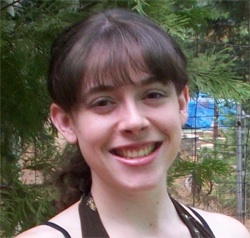 Thanks, Zoe, for supporting writers. 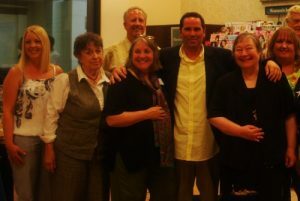 MWP networks with Sacramento writers, sharing craft information, news, and events. 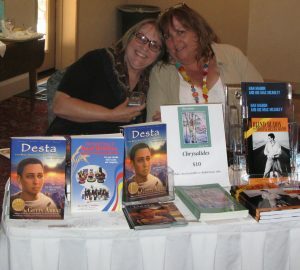 Here are the Manzanita Writers Press writers at the Frog Jump author table in Angels Camp. 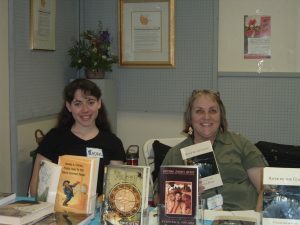 Every year we host an author table and showcase regional books! 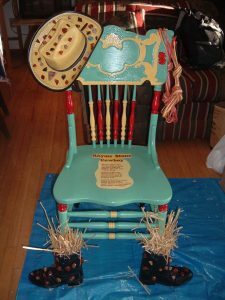 We were proud of this creative chair donated to chair-ity! 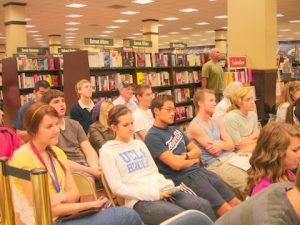 Here’s a great group of writers at Barnes & Noble after a reading and presentation to the public about marketing, writing, and research! Not to mention a great book signing. Okay — up above is a brief video clip of a workshop we had about writing. 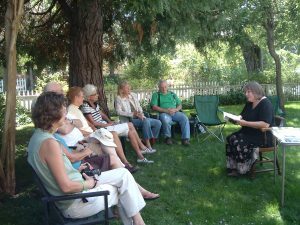 Poetry reading at Black Sheep winery. Durlyn Anema announcing a new book. Monika reading from her new collection — the audience bought books! Maybe the poems struck a chord. 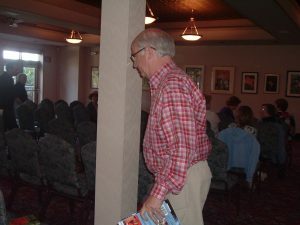 Ironstone book launch event — what a nice crowd! Kevin Arnold is enjoying the ambiance! 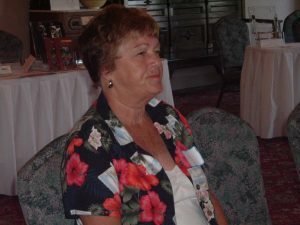 Joy Roberts, MWP Finance director and editor enjoying the Kautz Ironstone event. 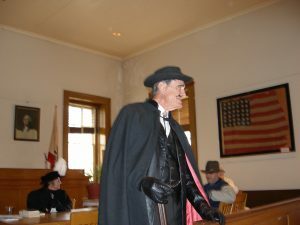 Glenn Wasson as Black Bart and others dressed as historical figures in the San Andreas Historical Courthouse museum history event. 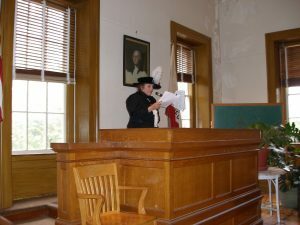 Glenn once played the part in a famous trial recreation, with Ted Laskin as the judge. Monika played the part of Louisa May Alcott and Dave Self was Ambrose Bierce. Daniel Williams played the part of John Muir. Vincent, and Kevin Arnold’s lovely wife all had a great time volunteering at this worthy event. 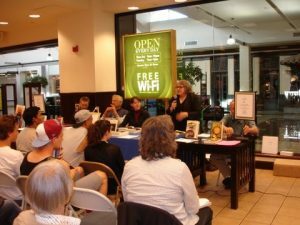 Below, another Barnes & NOble author event in Stockton in 2011, with authors Monika Rose, speaking, Rachel ArceJaeger, Lou Gonzales, Glenn Wasson, Paul Stein, Jim Lanier, Janet Langton, and Jennifer Hoffman. Monika had a lot of students turn out for her book launch. 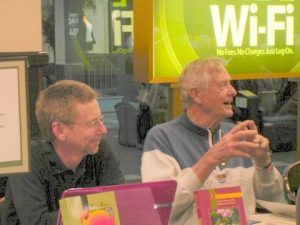 Another reading at Barnes & Noble. 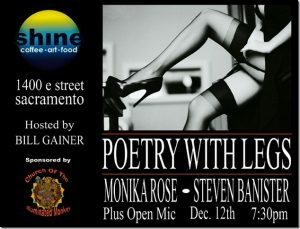 Writers network with Sacramento poets. 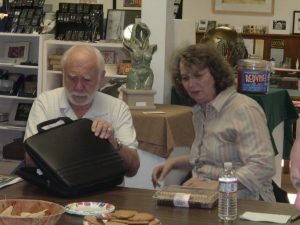 Jim Lanier released his eBook, the Bizarre Bazaar. 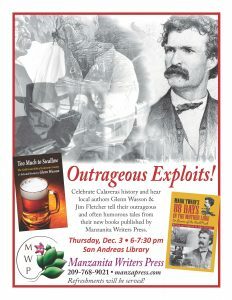 The link below is about an author interview radio program sponsored by Manzanita Writers Press, called Manzanita Voices. 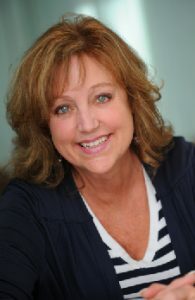 The host, interviewer, and Project manager is Linda Field, author and editor, MWP. 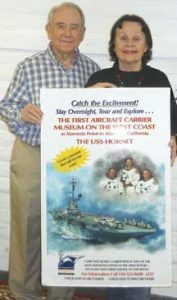 The program was the saving of the USS Hornet, with Bob and Judy front and center in the management of the fundraising and ship project restoration. 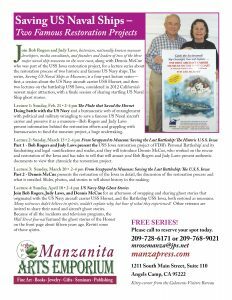 Lecture Series 2 – Restoring the USS Iowa – Den explains the thousands of hours he put in restoring the deteriorating ship. The teak deck, for instance, was a challenge. People in the lecture audience were able to receive discounted tickets to tour the ship, as well as souvenir pieces of wood saved from the Iowa, itself, historic pieces of wood to cherish. You hold the cork-like piece in your hand, and history comes flooding back. 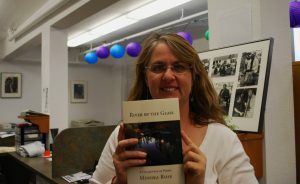 Brett Hall Jones holding up Monika Rose’s new release of her book. 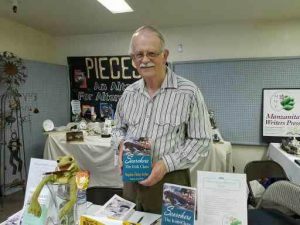 Here is Steve Archer with his new book, Searchers, at the County Fair and Jumping Frog Jubilee. 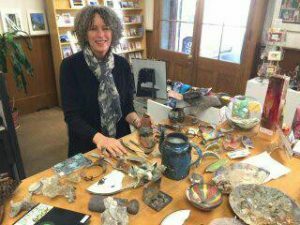 Here’s an article by Mary Matzek in SFGate blog about Manzanita Arts Emporium!